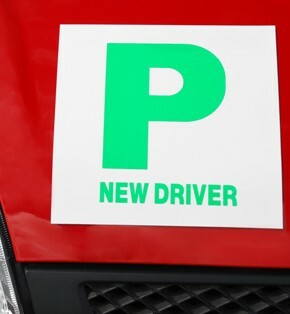 Pass Plus is an established training course aimed at new drivers, I run this at my driving school in Aberystwyth. It was designed by the Driving Standards Agency (DSA) with the help of insurers and the driving instruction industry. Statistics show that new drivers are more likely to have an accident in the first two years of driving after passing their test. Any one can take a Pass Plus course but it’s mainly aimed at drivers who have recently passed their test. The course is subsidised by the local council and all you have to pay is £20. You qualify if you are aged between 17 and 25 years old and live in Ceredigion, if you’re older costs can be discussed. Substantial insurance discounts can be obtained. Because of the geographic area of the Mike Manship Driving School in Aberystwyth we cannot reach a motorway for one & three quarter hours therefore with one person a minimum of 6 hours, with breaks, is necessary. With two persons driving for one hour on and one hour off, it is a minimum of 9 hours. This is an instructional course and there is no test required at the end of the driving session. Following the course you will receive a certificate from the Driving Standard Agency which you can then present to your Insurance Company and claim your discount. Do you want to take the Pass Plus? For booking and information call the Mike Manship Driving School in Aberystwyth on 01686 413202 or 0777 589 4098. Covering Aberystwyth and the surrounding areas.